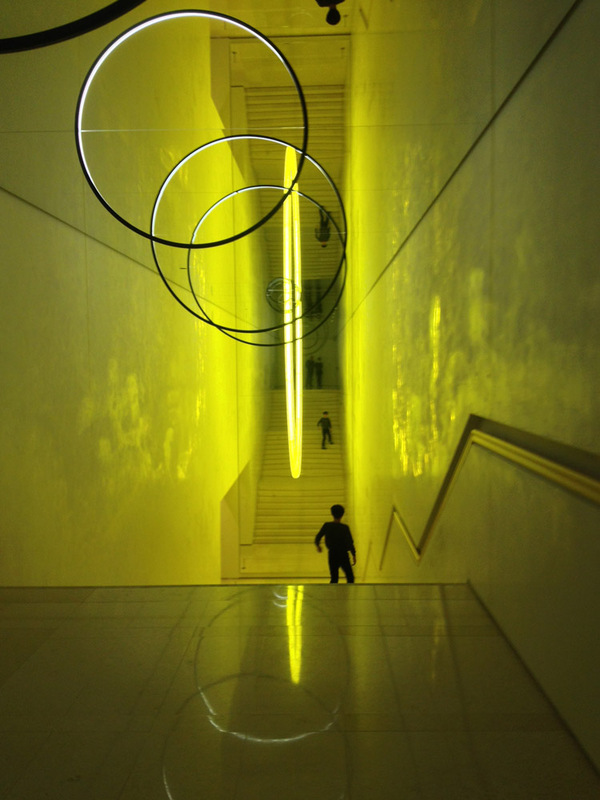 Olafur Eliasson installation at Leeum, Samsung Museum of Art in Seoul. Magnificent transformation of a staircase with the magic of light and mirrors causing poetic and mind bending reflections. Meanwhile, across town, our brilliant Phillips Collection exhibition Ingres to Kandinsky at the Seoul Arts Center.